The Agility Training class is designed for the dog who has completed Obedience 2.0, or Puppy 2.0 and wants to have fun. This is a great class for dogs with lots of energy to burn or for the shy dog who needs to gain some confidence. Agility also helps grow the bond between you and your dog. We recommend agility for almost every dog! Dogs are never forced to take obstacles, rather they are encouraged to learn to take them at their own pace. All Agility Training classes are five weeks long,(one hour a week) and cost $150. Please see below link for all class info and requirements. Click here to see class information and requirements. This class is designed for the dog and owner who have completed Beginning Agility and want more. 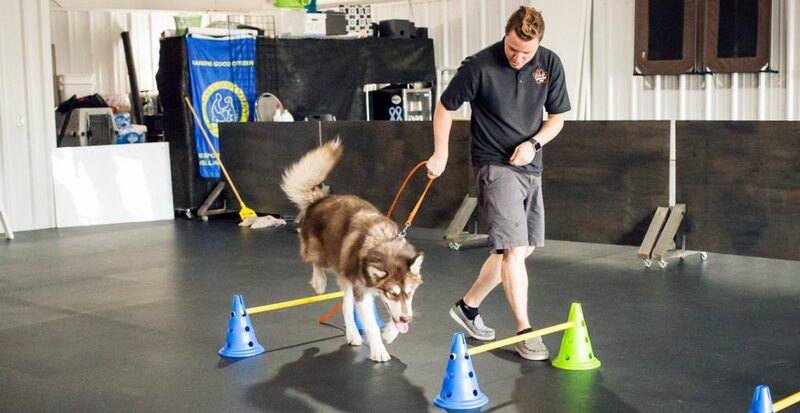 Intermediate Agility grows on the skills you have already gained, as well as teach specific maneuvers, sequencing, and begin using full size equipment. Advanced Agility is for those who have completed Intermediate. This class is aimed at continuing your growth in the sport of agility, ensure you understand how different organizations rules work, and prepare you for trials. Advanced is also a good class for those who don’t want to compete, but simply want to continue on with the agility sport as a hobby.